The next generation of advanced media monitoring is rolling out for the market. 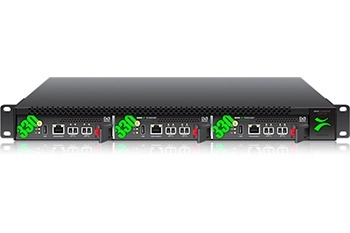 The new VB330 has been designed with a super-powerful 8-core multiprocessing CPU, making it possible to monitor every single streamed video in your network. It is fair to say that this new flagship probe is a must for any high-speed network and production system. The new VB330 is built based on the familiar and successful visualisation principles introduced in the earlier VB1 and VB2 probe series. Partners and customers alike will recognise the look and feel of the previous probe generation in this new power-packed model. The VB330 also sports a totally new enhanced chassis with dual redundant power supplies to ensure high operational availability. In order to accommodate your sales efforts we have come up with a short technical sales presentation of the product. The presentation can be uploaded through the links below. Feel free to use it in your customer meetings. After a run-through of this presentation you will be able to confidently present the features and benefits of the VB330 to your networking clients.